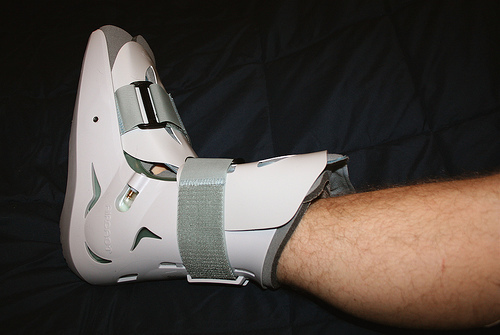 A hairline fracture, also known as a stress fracture, is the appearance of cracks or severe bruise within a bone. Athletes, especially people who indulge in heavy duty sports activities such as running, and jumping are more prone to this kind of fractures. Hairline fractures are not limited to athletes only, it affects people with osteoporosis too. How do you develop hairline fractures? What are the symptoms of a hairline fracture? What are the Causes of Hairline Fracture? People develop stress fractures when they use a particular muscle way too much. Repetitive actions and overuse lead to microscopic damage to the bone over time. Especially, when you do not devote enough time to recover. This increases your chances of getting saddled with niggling injuries. Which part of your body is more prone to hairline fractures? We already know about the one cause, over-activity or repetitive activity. For example, if you have been into brisk walking till now and suddenly raised the intensity and started running, it may lead to injury. This happens especially when you do not warm up before running or perform a proper cool down stretching exercises after running. A sudden change in an exercise routine can also lead to hairline fracture. Yes, if you keep shifting from one intensive activity to another you may be susceptible to injuries. New bones develop when increased forces are put on them through a number of activities. Remodelling of bones occurs, replacing the old bones. But you increase the likelihood of fracture when you suddenly increase the intensity of activities. The very reason why dancers too are at greater risk for hairline fractures. While popping painkillers may provide relief from the dull ache, if you are really looking for a holistic solution to the pain, then acupressure can provide an answer. Acupressure helps bust the extreme stress, promotes sleep and relaxation and initiates healing. Acupressure is extremely effective in opening up closed pores and activates the innate energy prowess. What’s more, it even gives a fillip to the immune system. So, how does acupressure help the hairline fracture heal? Acupressure enables gentle healing of the muscles and connective tissue which capitulate to uncontrolled stress. It is a great way to treat hairline fractures. 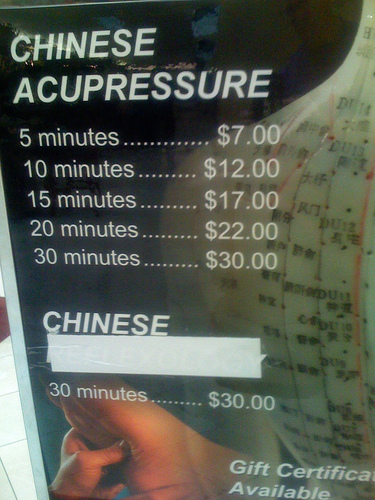 Acupressure heals bones joined by tissues, and not broken into pieces. Activating acupressure points ensure a steady flow of blood to the muscles healing the fracture naturally. Learn about the different pressure points to heal hairline fractures. L 11- Large intestine- The LI11 point is located at the side of an elbow. Apply mild pressure to this point for relief. LU9 (Lungs 9) – Locate this point at the narrow ridge of the wrist. It is aligned with the thumb and repairs the fractured area. Application of the point for 2-3 minutes can speed up the healing process. TW14 (Triple Warmer 14) – Locate the TW14 point on the shoulder bone. Therefore, a mild thumb pressure is all you need to initiate healing. TW15 (Triple Warmer 15) – Find the Triple Warmer Meridian on the far end of the ring finger right on the outside corner of the nail. This meridian passes through the knuckles of the fourth and fifth fingers. Application of gentle pressure can make you feel a world of difference. Sp7– Find this point on the line that joins the tip of the medial malleolus and SP 9. Keep pressing this point for a few minutes every day to initiate healing. SP9– Find this point on the lower line of the medial condyle of tibia, in the small indentation in the medial border of the tibia. Just a light massage at this point can do wonders. Take ample rest post-injury. Remember the more you rest, the faster your recovery. Try supplementation which helps with bone-building, collagen, calcium and vitamin D. Remember more may not be better, consult your doctor to know the correct dosage. If you have just started running, avoid sprinting on hard surfaces. Wear proper sports shoes with cushioned footbeds to avoid your foot hitting hard on rough surfaces. While a medication in the form of painkillers may provide you quick relief, you need to be wary of its far-reaching consequences on your health. Remember the more natural the healing process the fewer chances of it affecting your health. As they say, prevention is better than cure, so whenever you exercise never forget your warm-up and even when you are in great hurry ensure that you include a stretching down session. Nobody ever regretted a good old cool down after an intensive sweat fest at the gym or the outdoors. And if you do suffer from a hairline fracture, master the above-mentioned points and you will soon be on the road to recovery and all this minus the side-effects of over the counter pills. What more can you ask for? So, explore the power of acupressure and feel a sea change in your health.